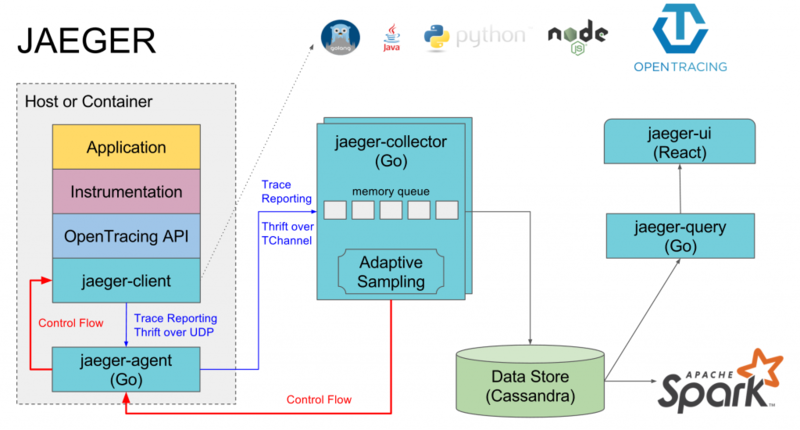 Jaeger is an open-source distributed tracing collection and analysis tool. When it comes to Jaeger, it does not matter which option you choose, though there are several considerations to take into account when deciding on a tracing framework (I will cover this in a future post). For greenfield environments, I would recommend looking at OpenCensus first and opting for either Jaeger or Zipkin client libraries if OpenCensus does not meet your current needs (again, more on this later). Once tracing is in place, you need to decide how traces will be ingested into Jaeger. You can either send directly to a collector or go through an agent. When getting started, going directly to a collector is easier. For production deployments, I would strongly recommend going from client libraries to an agent and from an agent to a collector. Of these parameters, the one I would like to dig into the tags. As mentioned above, you need to know the exact key(s) and value(s) you care about. If you enter this wrong you will get no results. If you do not know the key(s) or value(s) then you should run a query without tags and look into what tags are available. The value(s) must be exact, globbing/wildcards are not supported. You can specify more than one set of key/value pairs by separating by space. All specified key/value pairs are logically ANDed. It is not possible to perform other query operations (e.g. logical OR). 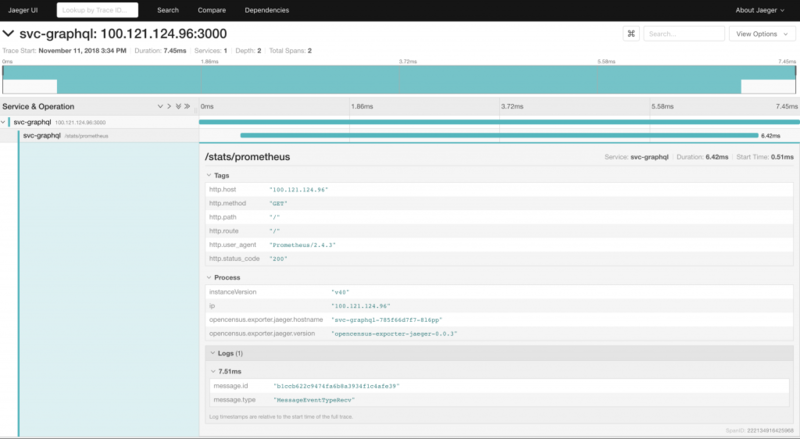 Incomplete traces — not all spans for a given traces have been received yet (e.g. async spans). If this is the case, waiting a few seconds and refreshing will show the data. The metadata presented depends on the instrumentation used and the configuration applied. The better the instrumentation, the better the data to analyze. You have to know what you are looking for — because Jaeger is primarily focused around individual traces unless you have a specific issue or specific trace you will probably not use the tool. Put another way, if you go the UI for no reason and start searching, you will likely get little value out of the tool. Cassandra (default) backend results in inconsistent results — if you run the same query multiple times on the search page you will get different results. This is because full table scans are expensive on Cassandra and as such avoided. The net result is that you cannot get consistent results when using a Cassandra backend. 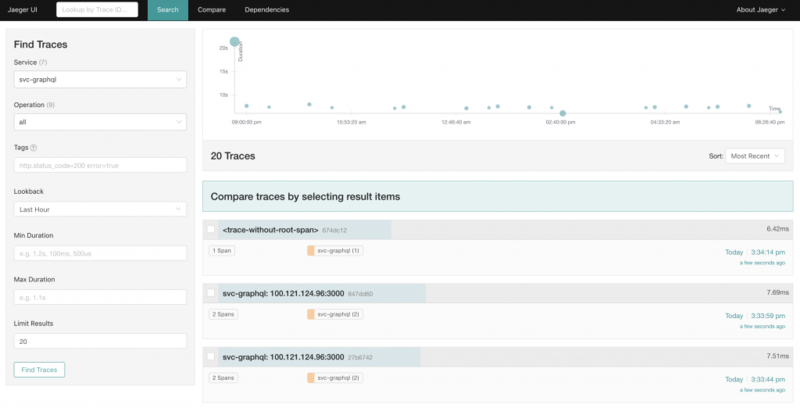 If you are looking to get started with distributed tracing then Jaeger is a great option. In addition, if you have specific performance issues you are trying to track down then Jaeger can provide immediate value. You need to ensure you are properly instrumented and collecting data, but there are plenty of easy ways to get started.